I am struggling to prepare genome index in STAR. Any help will be appreciated. Job <STAR_index_v5> was submitted from host <c33b06> by user <......> in cluster <.......> at Sun Jul  8 11:32:02 2018. Job was executed on host(s) <3*c04b08>, in queue <long>, as user <.......> in cluster <.......> at Sun Jul  8 11:32:03 2018. </home/xxxx> was used as the home directory. </project/> was used as the working directory. Started at Sun Jul  8 11:32:03 2018. Terminated at Sun Jul  8 11:35:03 2018. Results reported at Sun Jul  8 11:35:03 2018. TERM_MEMLIMIT: job killed after reaching LSF memory usage limit. Exited with exit code 137. CPU time :                                   223.64 sec. Run time :                                   180 sec. Turnaround time :                            181 sec. The output (if any) is above this job summary. TERM_MEMLIMIT: job killed after reaching LSF memory usage limit. Exited with exit code 137. Your job is being killed by LSF resource manager, because it is exceeding the memory limit you asked - about 9Gb. STAR is quite memory hungry, if this is a large genome (such as the human genome), you need about 32-34Gb to build the index. You have to ask for more memory and / or use a different queue. Thanks. I just submitted the same job asking more memory. Hopefully it works. Thanks again. That did work, although, the job report shows 60GB memory use. Thank you! 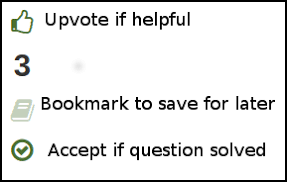 If an answer was helpful you should upvote it, if the answer resolved your question you should mark it as accepted. Joint variant calling with platypus killed for exceeding memory. Internal memory allocator is full! memory usage and run time for VEP whole genome variant annotation?